A lot of the most impressive space-saving ideas really only work for wealthier urbanite apartment owners who can simply hire a contractor to design a bunch of customized built-ins. The results – like beds that lower from the ceiling at the push of a button – are often undeniably cool and effective, but not exactly accessible to most of us. 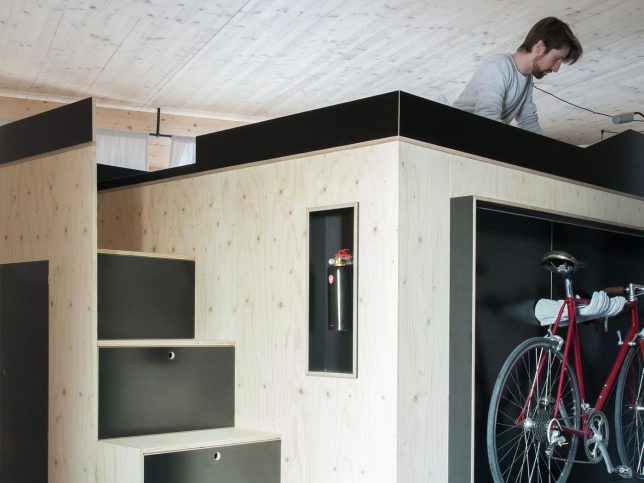 For the renter with an average income, tiny space hacks need to be cheaper and way more portable. Here are 15 ideas that are either commercially available for less than the price of your first-born child, or could serve as inspiration for something to build yourself. 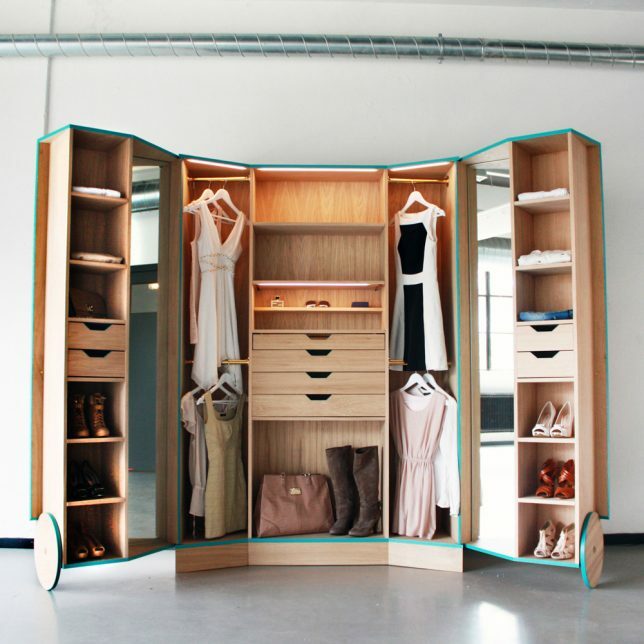 How luxurious must it feel to have the kind of walk-in closet full of beautiful wooden built-in shelves and drawers, with space to organize all of your shoes, accessories and clothing? 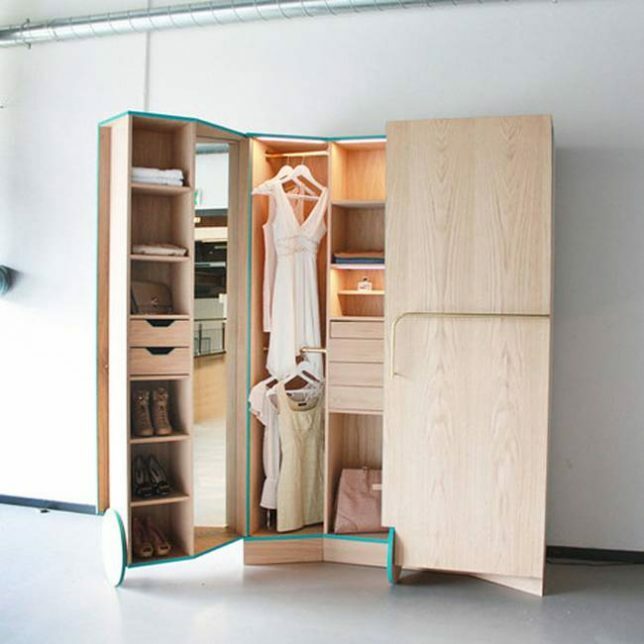 Hosun Ching applies this concept to a fold-out wardrobe with additional storage in the doors, transforming into a sort of portable walk-in. There are mirrors on both sides, too, so you can see your outfits from every angle. 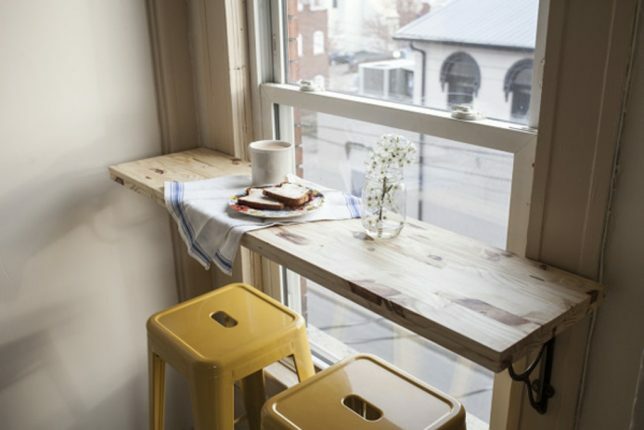 Turn any available window in your space into a cafe table with a view simply by adding a shelf and a chair or a couple bar stools. It takes up practically zero space, installs in mere minutes and makes a big impact. Got a lot of crafting materials or art supplies? The HobbyBox by The Original Scrapbox Company has space for everything, keeping papers neatly organized, protected and individually visible. 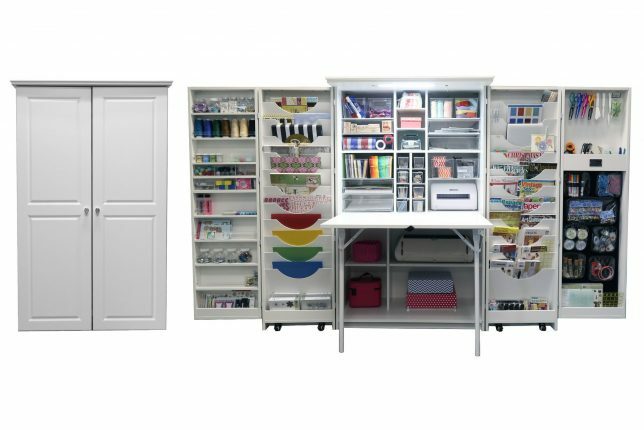 In addition to a whole lot of internal shelving, this craft cabinet features a small wall of magnetic storage and some hooks for hanging certain items. It also comes with a fold-down work table, a daylight LED light, 22 clear acrylic totes and 7 clear zipper pouches. 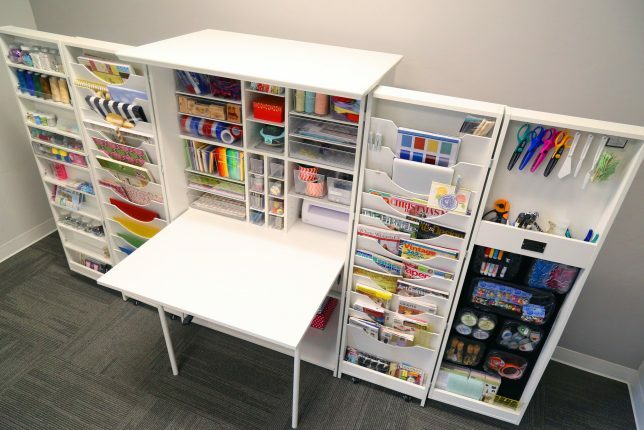 The company has other versions of this cabinet that are customized for other activities, like sewing, as well as narrow storage towers and storage desks with clear tops so you can see all your supplies from above. 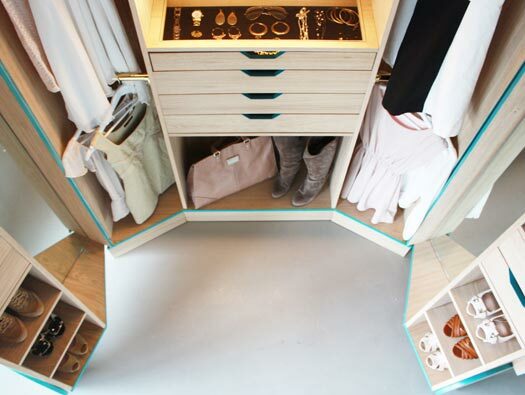 Being able to closet it all up when you’re done eliminates a whole lot of visual clutter in a small space. 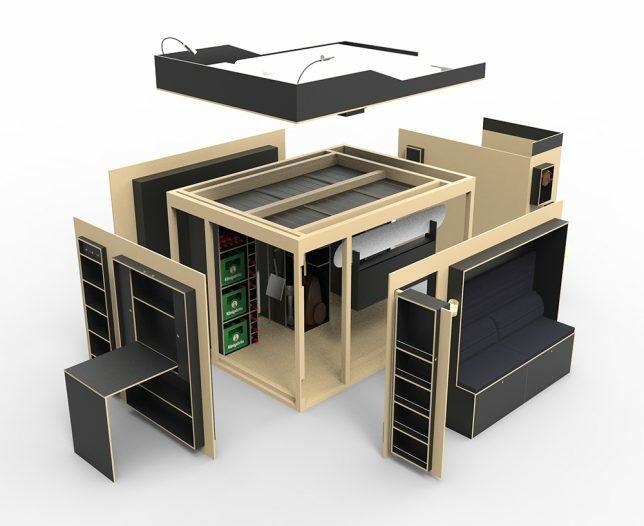 Few things make more of an impact in a small space than the ‘all-in-one living cube,’ a freestanding piece of mega-furniture that typically incorporates a bed, storage and perhaps a desk or couch into the same unit. 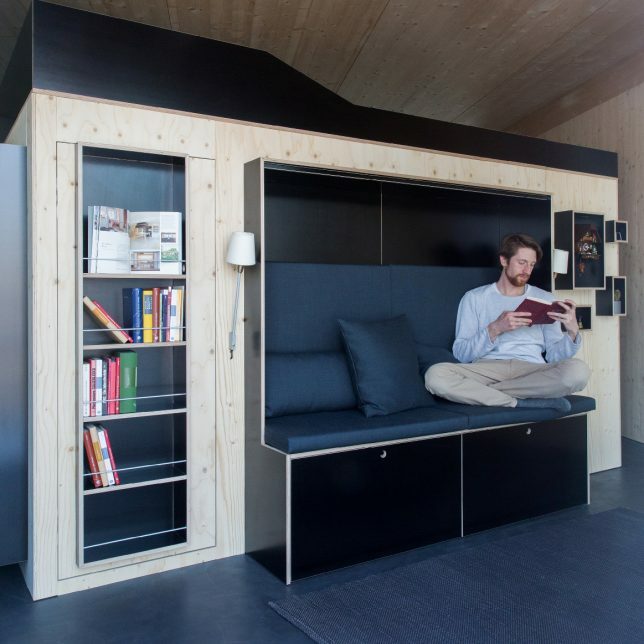 This one, the Kammerspiel by Nils Holger Moormann, is designed to stand in the center of a studio apartment, dividing up the space and offering just about everything you need. 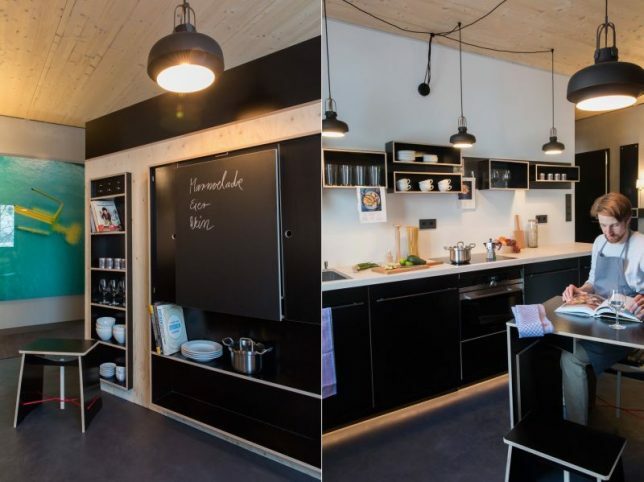 It even has a mini kitchen and a walk-in wardrobe. 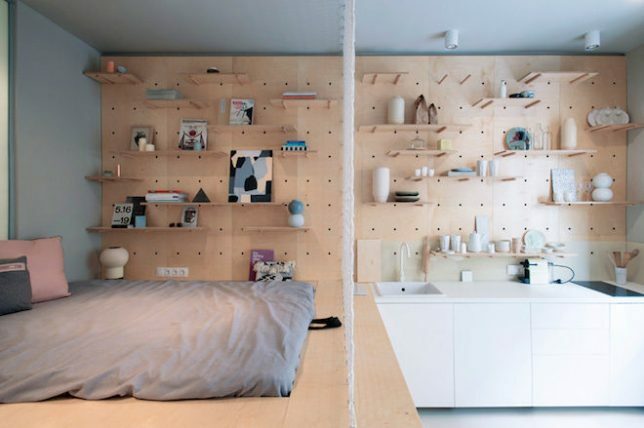 Spotted here at a compact Budapest AirBnB designed by local firm Position Collective, pegboard walls prove they don’t have to be relegated to dirty garages to be handy. 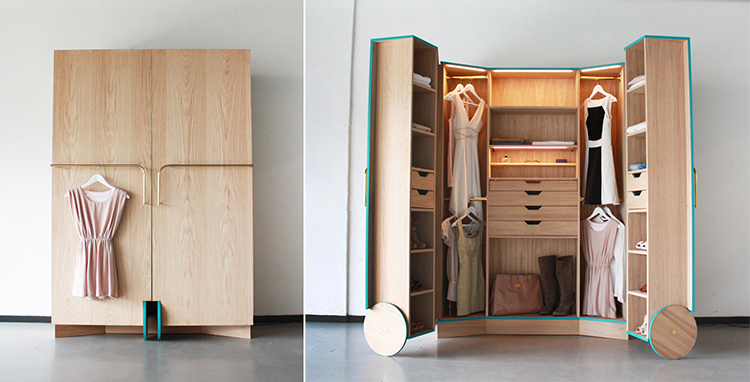 This one is made of a smoother-grained plywood, with pegs supporting custom shelves. You could mount these to the wall and have an endlessly customizable shelving arrangement without drilling a bunch of holes in your rental.